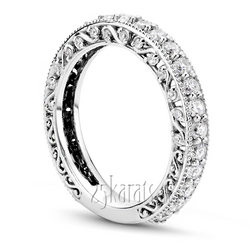 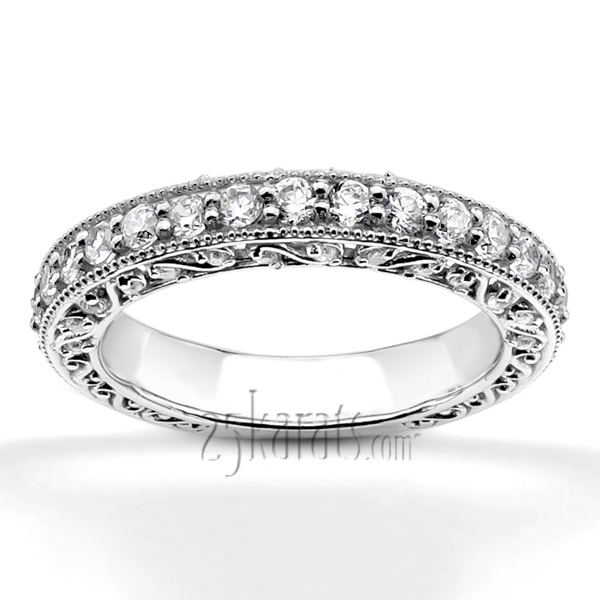 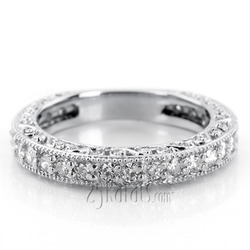 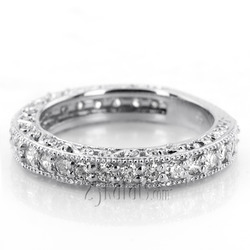 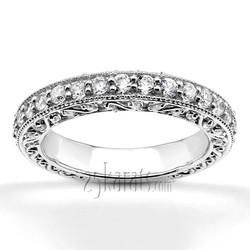 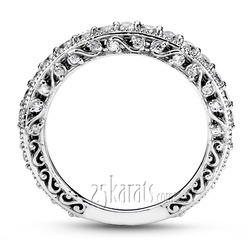 Stunning filigree diamond anniversary band. 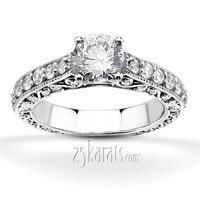 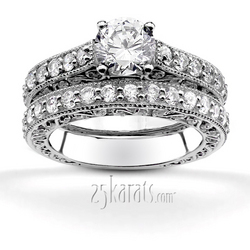 This diamond anniversary ring is prong set with brilliant diamonds. This ring is available in 14k, 18k white gold, yellow gold, platinum and palladium.